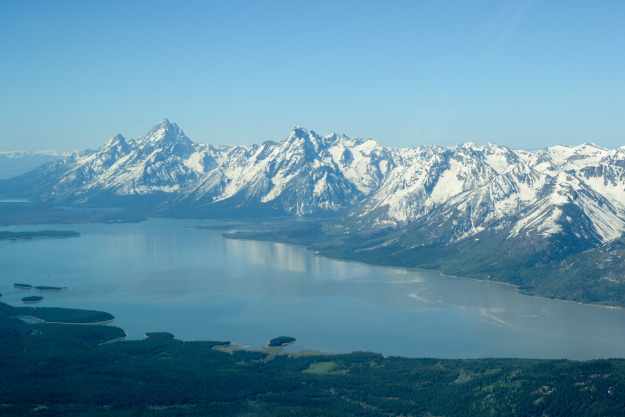 Day 11, Leg 1: the Grand Tetons and eastbound – EHFC Members Talking! Beautiful photographic tour of the west as 7CF continues eastbound. We woke up early today, excited for a big day of flying, but also a little disappointed that the trip is coming to a close — we’ll cross the Continental Divide a final time, trading the mountains of the Northwest for the plains as we head east. Our stop for tonight is Kalamazoo, Michigan (KAZO), where Jean-Baptiste’s girlfriend Bri is interning at Zoetis for the summer, and is just under 1,200 nm as the crow flies. Although we originally planned a northerly route, overflying Mount Rushmore and Badlands National Park, a cold front is running east-west through South Dakota, and the entire area is IFR with embedded thunderstorms. We decide to detour to the south a bit, and plan a route to the Western Nebraska Regional Airport (KBFF) in Scottsbluff for a quick-turn fuel stop.